Case Study based on August 21st, 2018, interview with North-Wright Airways Quality Assurance Manager, Jana Welsh. North-Wright Airways is a family run, majority Aboriginal owned charter airline based out of Norman Wells, Northwest Territories, Canada. 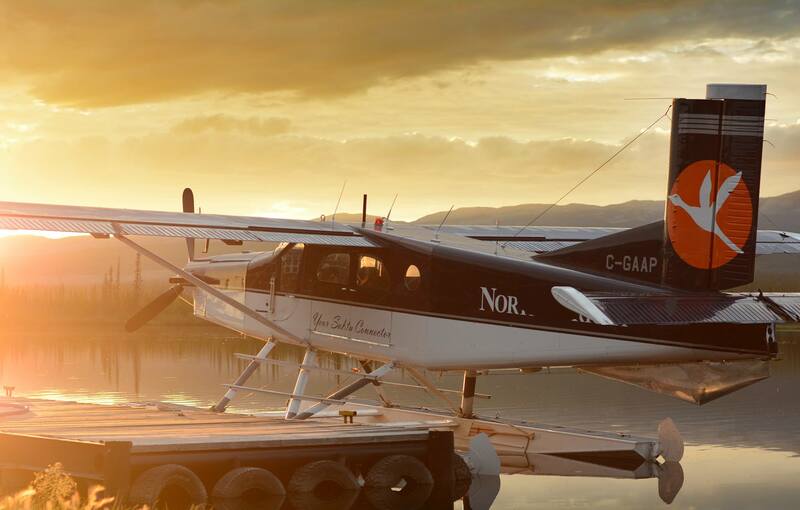 The company was founded in 1986 and operates in the remote regions of Canada’s north, which are fully dependent on the services provided by aircraft. They initiated the business with six staff and three aircraft, consisting of a Cessna 207, a Britten-Norman Islander, and a de Havilland Canada DHC-3 Piston Engine Otter. Currently, North-Wright Airways employs 73 staff and commands a fleet comprised of 23 fixed-wing aircraft. This includes de Havilland Canada DHC-6 Twin Otters, Beechcraft 99s, and 1900s, Cessna 208 Grand Caravans, 206s, 207s, 172s, and a 185, a Pilatus Porter PC-6, and a Helio Courier. 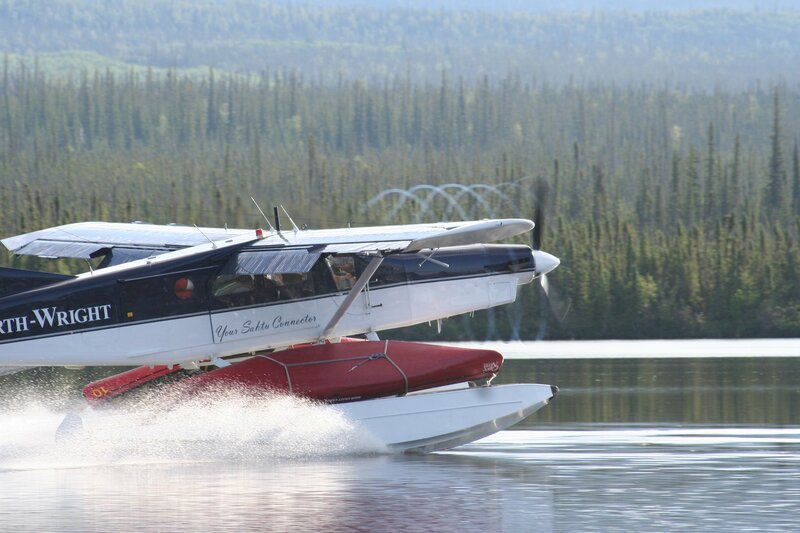 The company runs charter services through the Arctic, along with scheduled commuter flights between eight northern communities in Canada’s Northwest Territories (Inuvik, Aklavik, Fort Good Hope, Colville Lake, Norman Wells, Tulita, Deline, and Yellowknife). 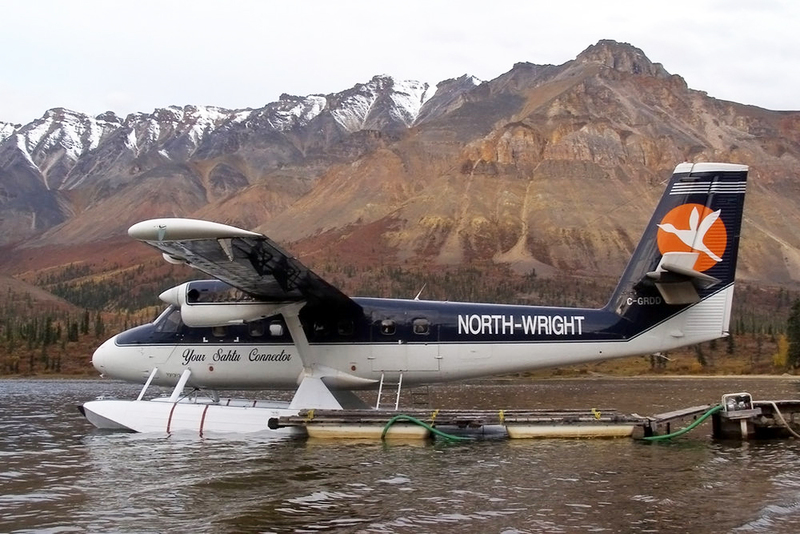 North-Wright Airways also offers a variety of specialty services, including off-strip flying, travel to isolated locations, transportation for hunting outfitters, canoe adventures, tourism, cargo transportation, wildlife expeditions, and aerial surveying. As North-Wright Airways continued to expand its services and grow its business into the mid-1990s, it was evident that they would require more aircraft, along with more staff to manage their operation—the company was managing all scheduled flights with a single Twin Otter, a Britten-Norman Islander, a Cessna 337, and a 207, a Piper PA-31 Navajo, and a Beechcraft Model 99. In order to keep up with the increased demand for air travel to the north, and to adhere to new federal regulations, North-Wright Airways built an aircraft hangar in Norman Wells in 1994. This facility would be used for heavy maintenance. In addition, the company hired staff in their Maintenance and Stores departments, and brought on new office personnel since dispatch, reservations, and check-ins could no longer be managed by one person. Over the coming years, North-Wright Airways’ business continued to flourish, which was due in part to a rise in scheduled flights within the region. 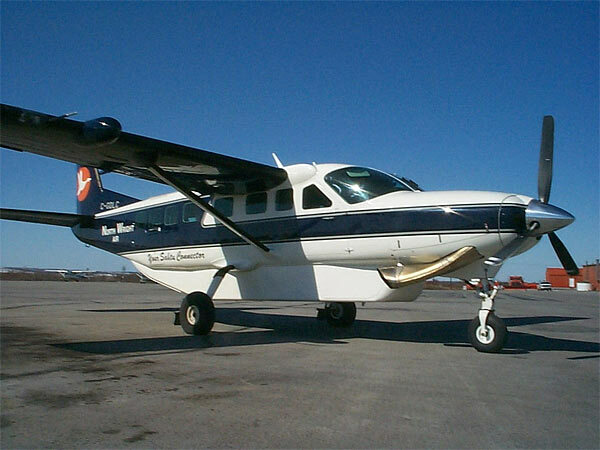 As a result, the company purchased two Cessna 208 Grand Caravans in 1995. They also imported a second Beechcraft 99 in 1996. This reduced the need for the Piper Navajos, which were eventually phased out of service in 1998. In the early 2000s, the region experienced a surge in oil and gas exploration, along with diamond and mineral exploration, which resulted in an increase in air travel to remote northern communities. This presented North-Wright Airways with the unique opportunity to expand the scope of their business and to boost profitability. Consequently, the company determined that they would have to purchase new aircraft and hire more staff. Due to this increase in staff size and total aircraft, North-Wright Airways realized that their current manual processes from managing maintenance and inventory activities via journey logs, tech records, spreadsheets, and paper and pencil processes were no longer sufficient. In order to improve operational efficiencies, streamline processes, and bring the company into the digital realm, North-Wright Airways required integrated maintenance and inventory control software that could be used company-wide. In 2000, North-Wright Airways started to look for a viable software solution to oversee all aspects of their fleet maintenance program. They had 35 staff and 14 aircraft in operation. The company initiated their search by defining their operational requirements, which led to the recognition that they would need fully scalable software to accommodate for their rapid growth. They also determined that their solution of choice would have to be supported by aviation industry references, particularly from those businesses that were operating in the region. In terms of the company’s overall business goals, it was imperative that the software would establish procedural controls, merge all departments into one cohesive unit, and offer a better way to track and manage maintenance activities and aircraft inventory. 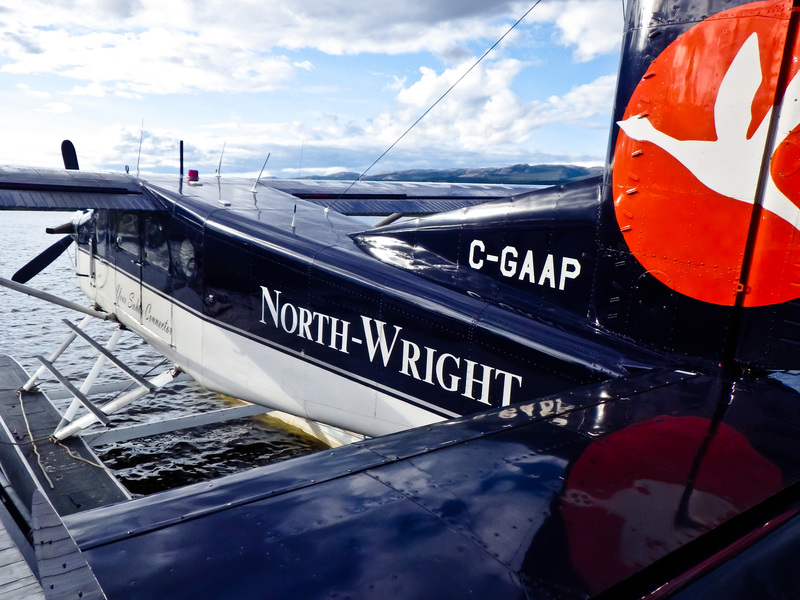 North-Wright Airways reviewed a number of aviation management software platforms available on the market and after speaking with industry colleagues working in the North, they concluded that WinAir was an ideal fit for their operation. The software was able to provide them with the high level of accuracy in reporting that they required to better manage their business. It also established procedural controls throughout all facets of the company, which assisted with streamlining and expediting operational processes. With these newfound efficiency gains, North-Wright Airways had the capacity to continue to expand their operation and take on new business. They also had peace of mind knowing that all aircraft inventory and maintenance processes would be tracked and managed with ease in WinAir. Once the software implementation and WinAir training were complete, North-Wright Airways shifted their focus towards scaling up their operation. The company continued to acquire new aircraft, brought on more staff, and began taking on new projects. As the oil industry expanded throughout the North in the early 2000s, so too did North-Wright Airways’ business. Over the next 18 years, WinAir would provide North-Wright Airways with the organizational structure that they required to grow their business. With this newly established operational framework that WinAir provided in place, North-Wright Airways were able to satisfy the oil industry’s demand for transportation into remote regions that could only be accessed by air travel. From 2001 to 2005, the industry expanded exponentially. This meant that the company would have to add new aircraft to its fleet in order to meet this industry’s unique requirements and to support its growth. As a result, North-Wright Airways acquired new Twin Otter aircraft, which provided the company the flexibility and versatility that they required to maintain their commitment to the industry. 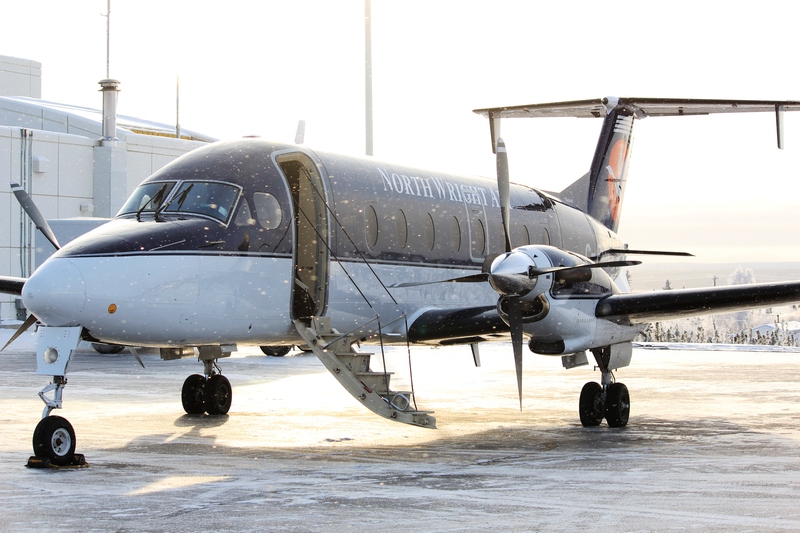 In 2006, after serving the Northwest Territories for nearly two decades as a family operation, North-Wright Airways partnered with the Aboriginal land corporations in the Sahtu region. This move would provide the company with the opportunity to continue on its current growth path by firmly establishing the its corporate structure and solidifying its position as a leader in the region. 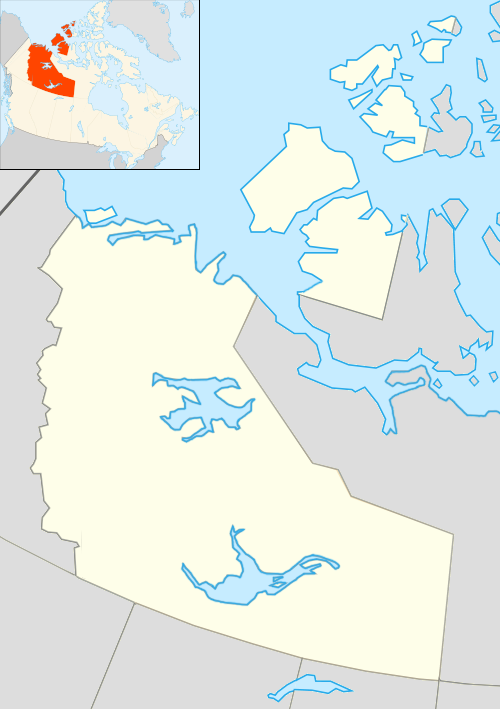 In the late 2000s, the economy in the Northwest Territories was thriving, which led to an increase in government travel throughout the region. This afforded North-Wright Airways with many new business opportunities. 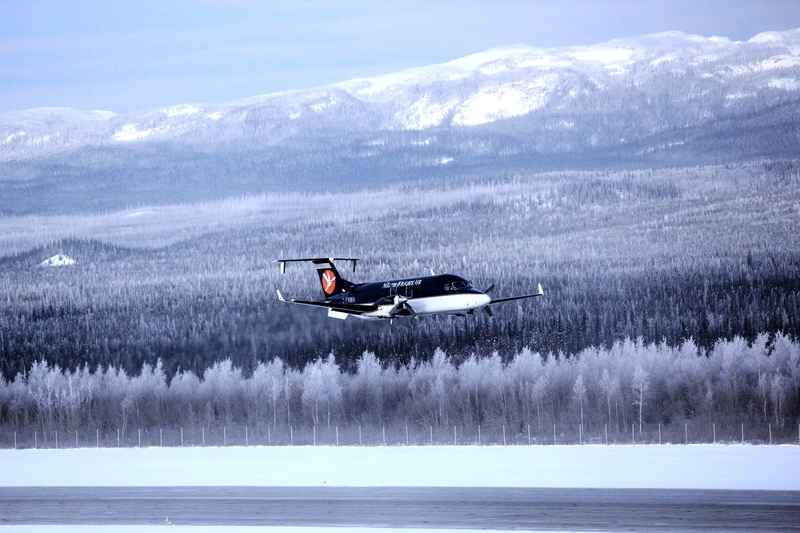 In 2011, the company incorporated its first Beechcraft 1900D into its fleet and extended its scheduled service to include flights to and from Yellowknife, Northwest Territories—the capital city and largest community in the region. In 2014, continued business growth and noticeable savings on fuel expenses led the company to purchase their second 1900D. With this increase in fleet size, North-Wright Airways concluded that it was in their best interest to reach out to WinAir to learn more about utilizing additional modules of the software. Their aim was to streamline and improve other aspects of their business that were not currently being handled by WinAir. This functionality would turn out to be instrumental in expediting processes for the company, while simultaneously keeping everyone in the information loop. With WinAir’s System Barcoding module, North-Wright Airways benefited from the technology almost immediately—it saved significant time for the company and proved to be an efficient and effective means for accessing accurate data instantaneously. “We rely on WinAir 100% now for managing all of our aircraft, knowing their history, and tracking their parts,” says Welsh. By automating processes like part identification, part issuing, and accessing part history, North-Wright Airways have been able to successfully maintain inventory control and minimize human errors caused by the manual input of information. This has saved the company valuable time, improved the accuracy of their reporting, and ensured that part traceability could be performed with exact precision. From a Tech Records perspective, WinAir Version 7’s ability to automatically write Tech Logs was also considered to be a huge time-saver for North-Wright Airways. This functionality would play a significant role in assisting the company with ensuring that their data was error-free, precise, and trustworthy. 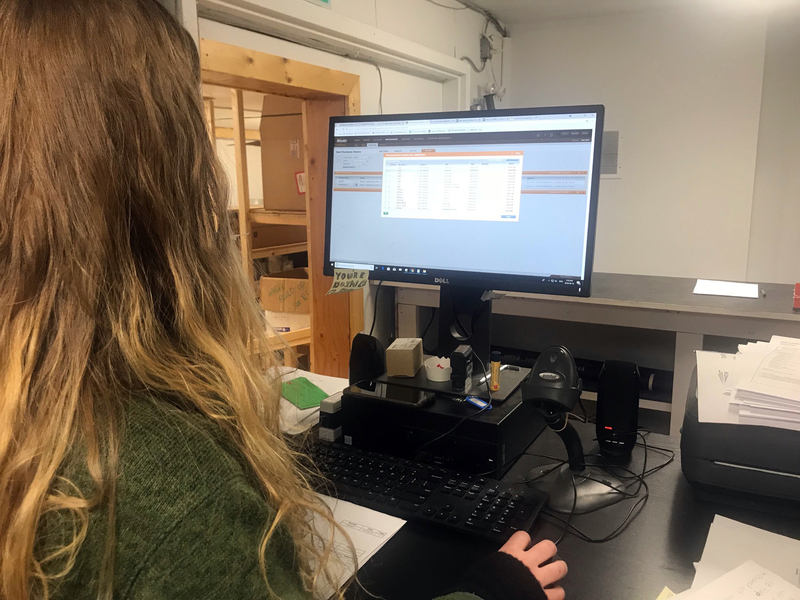 “With the ability to automatically write Tech Logs, our Aviation Records Clerk has been able to cut down time in their department tremendously,” says Welsh. By improving the level of accuracy in their reporting and providing procedural controls throughout all facets of the organization, WinAir has had a profound impact on North-Wright Airways’ business. In addition, WinAir has assisted the company with remaining compliant with aviation industry standards and regulations, and has provided the operational framework that they required to take on new business and expand the breadth of their services. 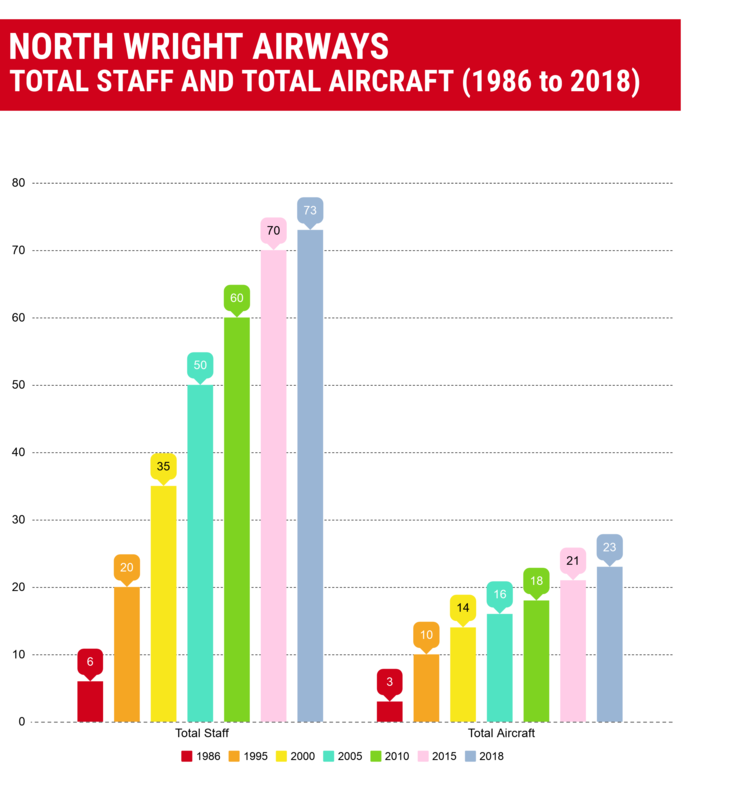 In terms of the software’s overall return on investment, North-Wright Airways were quick to note that it was the efficiency gains and ease of access to information that had the biggest impact on their business. This was due in part to WinAir’s ability to establish a framework based on aviation industry best practices. In addition to the software-related benefits, North-Wright Airways revealed that they have gained from the strong business relationship with WinAir and the software provider’s advanced level of expertise. 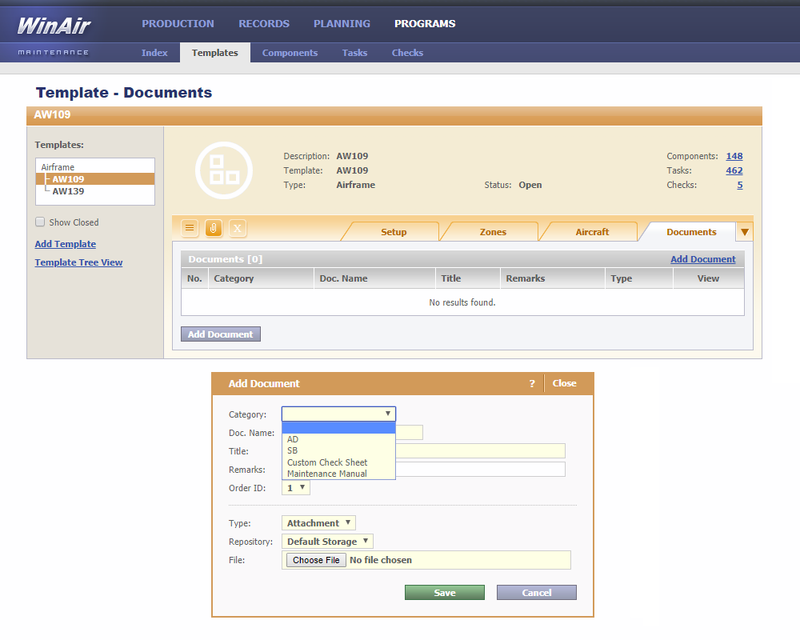 This insight has played a tremendous role in streamlining and expediting business processes for the company. From adding procedural controls and unifying all departments into one cohesive unit, to providing a more effective way to track and manage maintenance activities and aircraft inventory, WinAir has benefited North-Wright Airways significantly. The software has improved the accuracy of their reporting, kept everyone informed and up-to-date, and has streamlined and accelerated daily business processes and procedures. This has afforded North-Wright Airways the opportunity to focus their efforts on growing their business. Want to learn more about how you can grow your aviation operation with WinAir? If so, then contact us today to chat with a member of the WinAir team about your unique business needs! Based in London, Ontario, Canada, WinAir has 30 years of experience as a leader in aviation management software. Companies rely on WinAir to efficiently and effectively track and manage aircraft maintenance and inventory control. WinAir is proud to lay claim to hundreds of installations at aviation-specific organizations worldwide. From airlines, to heli-ops, to law enforcement agencies, foreign oil industry suppliers, MROs, CAMOs, medical evacuation response teams and more, businesses using WinAir regard the solution as a necessary component to the successful management of their fleet maintenance programs.